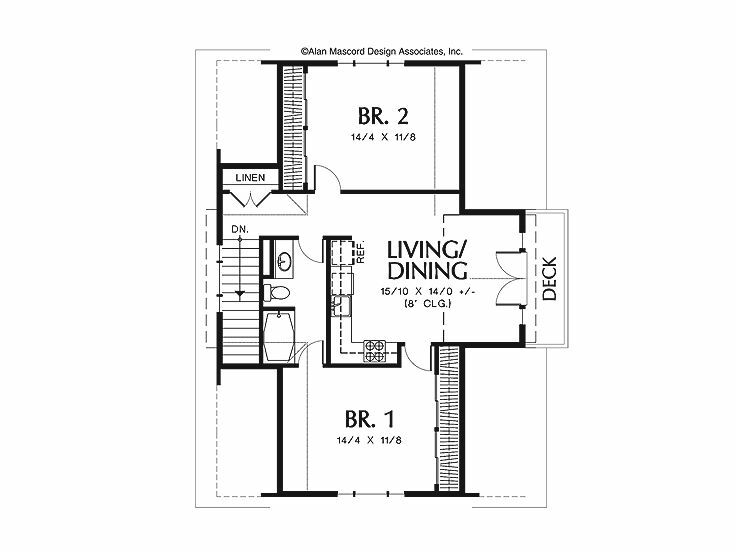 Second Floor 908 sq. 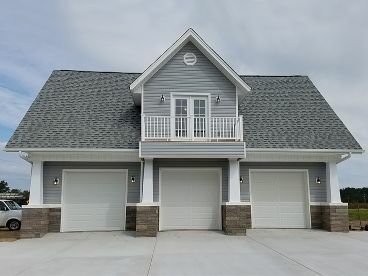 ft.
Width 41 ft. 0 in. 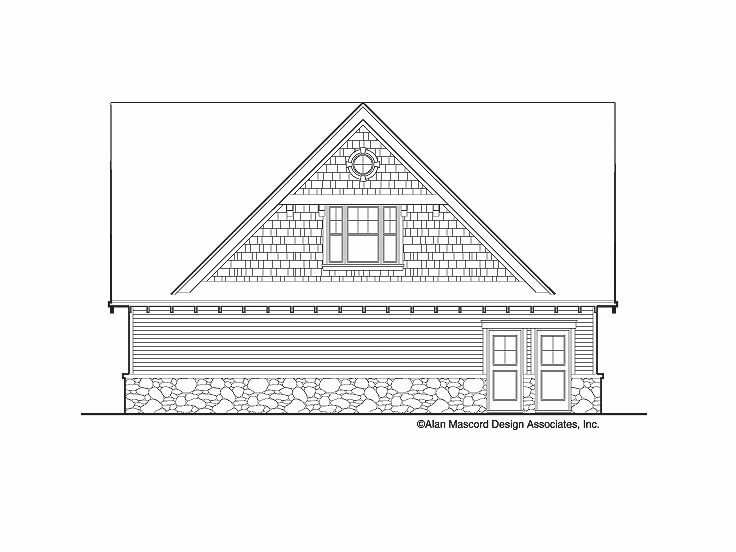 First Floor 9 ft. 6 in. 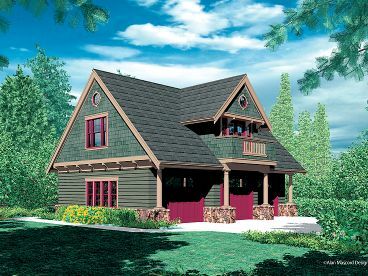 A multi-purpose design, this carriage house plan does double duty with its 1079 square foot, three-car garage on the main level and a generous, 908 square foot apartment upstairs. 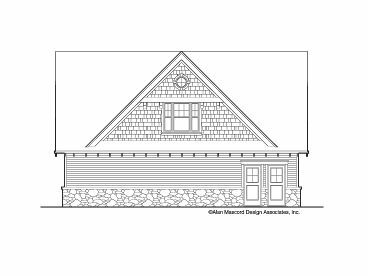 The exterior showcases an eye-catching Arts and Crafts appeal with its sturdy columns atop stone bases, lap siding and cedar shingles. The triple garage offers three overhead doors and a handy service door in the rear. A separate door opens to the stairs ascending to the second floor living quarters. 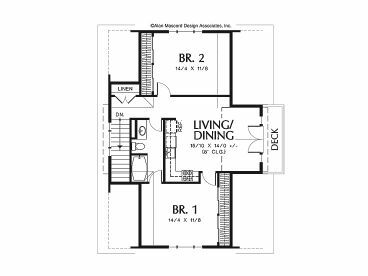 Here a split bedroom design boasts and open floor plan in the center complete with efficient kitchen and a charming deck. 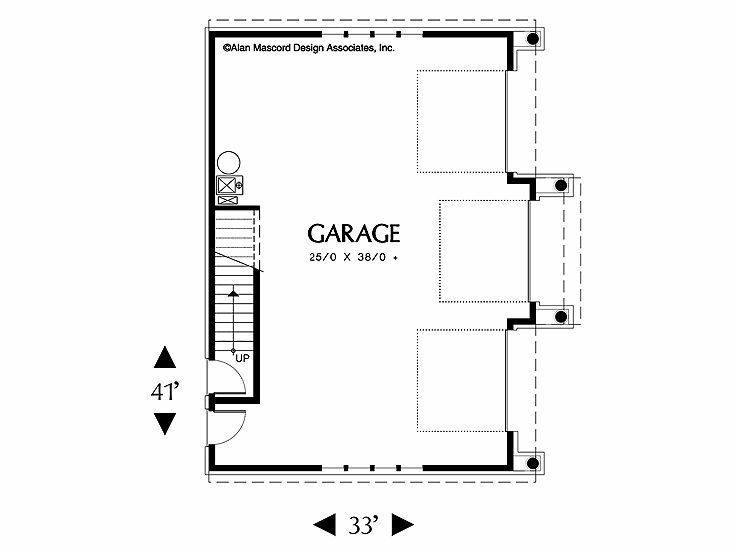 Both bedrooms reveal full-wall closets. A full bath and linen closet polish off the apartment. 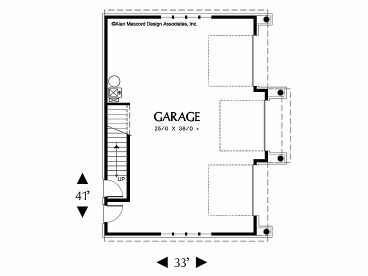 Perfect for auto storage and a leasing opportunity or perhaps a guest suite, this three-car garage apartment plan brings the flavor of the Pacific Northwest and generous amounts of storage and living space to any piece of property.